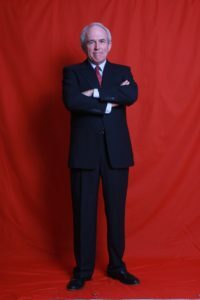 A very popular corporate and celebrity entertainer in the New York City area, HENRY CARLYLE has rapidly built a reputation as an act that must NOT be missed. Specializing in magical and mental entertainment with a comedic touch, HENRY CARLYLE performs mind blowing magic and mental illusions for celebrities, (Sting, Arnold Palmer, Lee Trevino, Bill Murray), private parties and for many Fortune 500 companies. ( Met Life, AT&T, Merrill Lynch, Bristol-Myers, PPG to name a few). He is the house magician at Forsgate Country Club in Jamesburg, NJ. and is a frequent lecturer to magicians groups. There will be no live animals, no clown noses, no vulgarity, and no off color material. There WILL be outstanding entertainment that makes a strong impact on you and your guests. You will not see three steel rings, you will not see ropes that get cut, you will not see livestock. You will see fun, interactive magic and mentalism with loads of audience participation and lots of laughs. It is a show that is enjoyable and memorable. HENRY CARLYLE appears most Saturday and Monday nights at Emmas Brick Oven Cafe in Cranford NJ.